The horrifying Floods in Kerala have hit the state badly, ravaging and disrupting life throughout the city. 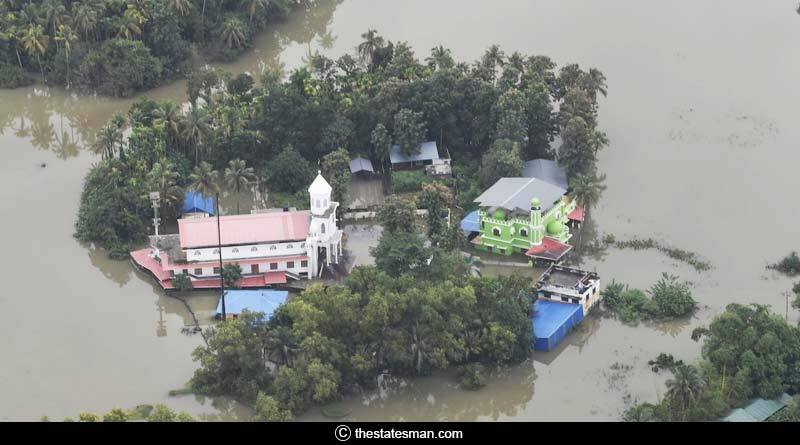 The worst floods ever in the history of Kerala have seen the death toll reach 370 after 13 more people were declared dead on Sunday. Rescue operations are taking place by the minute in the worst affected districts of Alappuzha, Ernakulam and Thrissur. With the met department predicting no rains for the next five days, rescue operations are expected to go through rapidly and smoothly, which is a huge breath of relief for the city. With the Kottayam rail sector resuming operations with special passenger trains, the Kochi airport is also set to resume its services today and start commercial flight operations. The deadliest deluge to have hit Kerala has seen more than 400 people die since monsoon hit the city on May 29. As per latest figures released by NDMA more than 33,000 people have been rescued by different agencies from areas that were completely submerged due to Floods in Kerala. A mammoth figure of 7.24 lakh people is staying in the 5,645 relief camps set up by the state and government with help from different agencies, organizations, and people. Kerala’s CM has said 2 million people had taken shelter in camps since the monsoon rains began three months ago. Chengannur, Pandalam, Thiruvalla, several areas in Pathanamthitta district and in Ernakulam’s Aluva, Angamaly and Paravur were the worst hit areas. With heavy, incessant rains lashing the districts and the state government deciding to open the Caveri dam to reduce the water influx, these areas completely came under water resulting in all homes, bridges, and roads being submerged to the till. Even with several units of the army and multiple government agencies carrying out rescue operations since the last couple of weeks, people have remained stranded in these areas. Such is the severity of the situation at these areas that it has been impossible to even supply water and food to the trapped citizens owing to poor weather conditions. The government has issued an Orange alert for 10 districts and yellow alert for 2 districts.